MITCHELL, Ind. 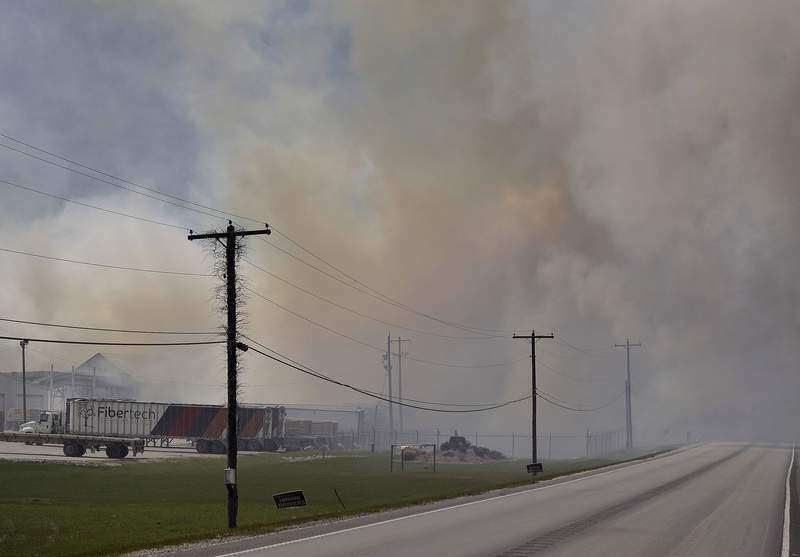 -- Dozens of people have sought treatment for smoke-related issues because of a large mulch fire burning in southern Indiana that shut some schools Friday and prompted authorities to urge people to stay indoors. 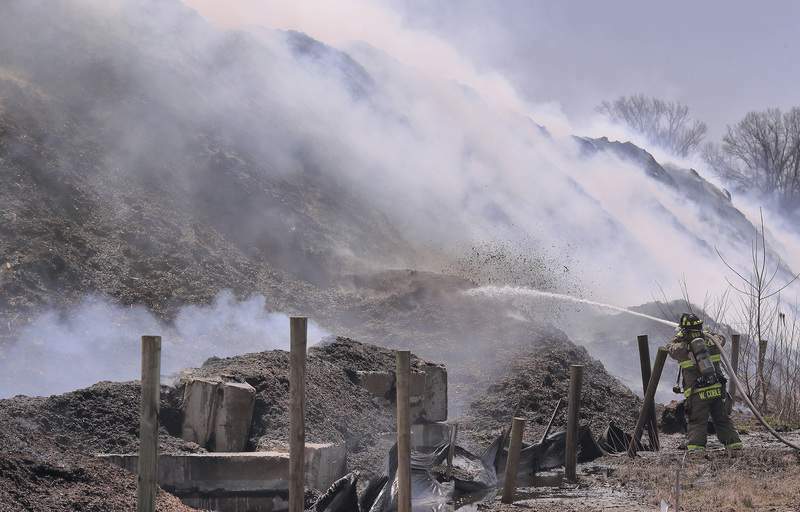 Firefighting crews from across the area responded Thursday to the fire at the Fibertech plant in Mitchell, which produces mulch and wooden pallets. Lawrence County officials advised area residents to stay inside their homes as it continued to burn Friday, and state officials said about a dozen families evacuated voluntarily as a precaution. "Visibility is limited in the area, and firefighters continue to battle the blaze and windy conditions in the area," the Indiana Department of Homeland Security said in a midday Friday statement. Two hospitals have seen a rise in emergency room visits because of the fire, officials with Indiana University Health said. Health workers at IU Health Bedford Hospital saw about 49 people with smoke-related issues, including 36 who were discharged, and IU Health Paoli Hospital saw three patients. Lawrence County Sheriff Mike Branham said smoke from the fire could be an issue for days. 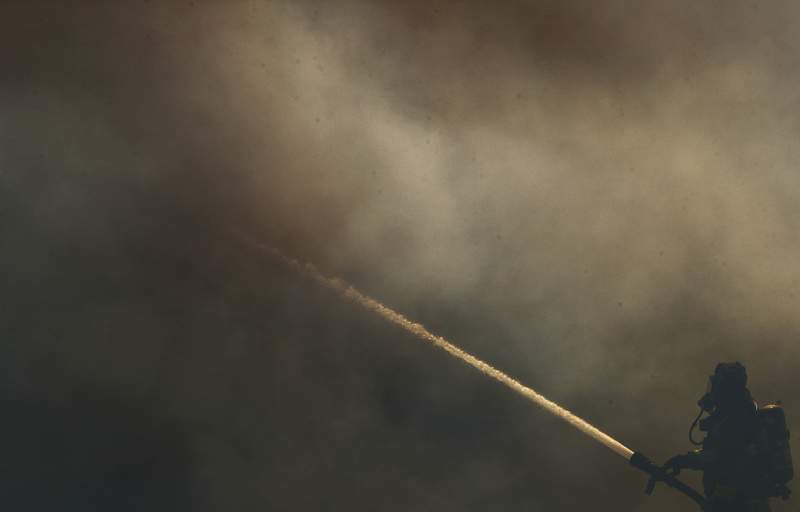 The Indiana National Guard was deployed Friday to assist in extinguishing the fire using aerial water drops. Mitchell Community Schools posted a statement online saying classes were canceled Friday because of the smoke and employees have been told not to report to work. The North Lawrence Community Schools district has also shut down schools. Motorists have been advised to avoid the area about 75 miles south of Indianapolis.